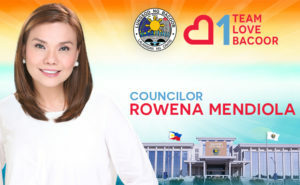 COUNCILOR ROWENA BAUTISTA was honored to be elected to the 1st Sangguniang Panlungsod in 2013. As the Chairperson of the Committee on Education, Science and Technology, Arts and Culture, she leads to facilitate resolutions and ordinances that grant scholarships, educational assistance, construct school buildings and the enrichment of arts and culture. 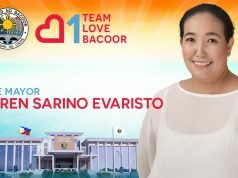 As member of the City School Board and the Bacoor Scholarship Guild, she supports resolution that fosters the welfare of teachers through granting of benefits and incentives; sustain the Alternative Learning System (ALS) and maintain school facilities. The ordinance she authored entitled “THE ANTI- SUBSTANCE ABUSE PROGRAM ORDINANCE of the City of Bacoor” is a landmark in local legislation according to PDEA as it is perhaps the most comprehensive they have encountered so far. Its major acts includes the 1) establish of the Anti- Substance Abuse Program (ASAP) 2) creation of the Family Counseling Center (FCC) and 3) the creation of the Bacoor Public Nuisance Abatement Board. It is her hope that through this ordinance, help substance abusers and create support for their families. 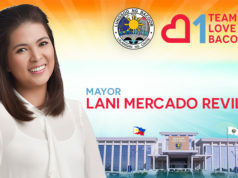 She is also the Chairperson of the Committee on Eternal Linkages, Vice- Chair of the Committee on Health and Sanitation, Committee on Social Services and Human Rights and the Committee on Tourism and the City Beautification. She participates as a member of the Committee on Finance and Budget Appropriations, Committee on Housing, Land Utilization and Urban Development and the Committee on Trade, Commerce and Industry. 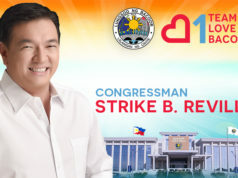 She was born for public service as she the daughter of Senator Ramon Bautista Revilla, Sir,., sister to Senator Ramon “Bong” Revilla, Jr. and Bacoor City Mayor Strike B. Revilla. Being the 1st in her family to get into public office, she was elected No. 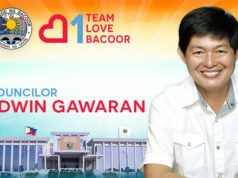 1 Councilor in Imus, Cavite in 1988 under the 1st election held under the 1987 Philippine Constitution. She became an officer of the Cavite Councilor ‘League during that term. She then worked as Chief of Staff of her father in the Philippine Senate from 1992-2004. She earned a Bachelor’s Degree in Business Major in Management. She then became a successful CEO of her own company, the Goldrich Business Corporation. She was also then the president of JAB Realty and producer of Imus Productions, Inc. 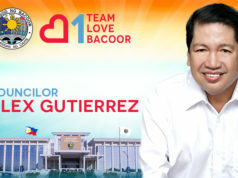 Her presidency of the Bacoor Chamber of Commerce and Industry (BCCII) promoted unity among the business sector and encouraged more investment to come that helped paved the way for the municipality of Bacoor to gain the cityhood status in 2012. She led the organizations in conducting business development seminars and trade related activities. She spearheaded its community involvement that’s gives relief operations for calamity victims, feeding programs, medical missions and promotion of arts and culture. She was then bestowed the honor as Chairman-Emeritus of the BCII upon her election to the Sangguniang Panlungsod. She has been an active member of the Inner Wheel Club that serves not only Bacoor but also parts of the country.